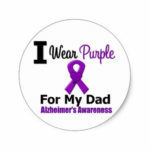 Alzheimer’s Awareness – I Walk for my Dad. The Alzheimer’s Association works on a global, national and local level to provide care and support for all those affected by Alzheimer’s and other dementias. Formed in 1980, the Alzheimer’s Association is the leading voluntary health organization in Alzheimer’s care, support and research. Queen’s School, Enugu was founded on October 4, 1954 by the defunct Government of Eastern Nigeria. 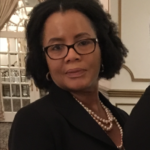 It’s first Principal, Mrs. Evelyn Doris Mather was a seasoned administrator/educator and a rare combination of strict discipline and sweet motherliness. 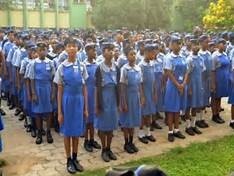 It was the only Girl’s Government Secondary School in the then Eastern Nigeria.” As a result, it had the best things among which were an all graduate teaching staff, large infrastructural facilities, dormitory blocks, administrative blocks, classrooms, well-equipped science laboratories; a school library, school hall, home economics block and very good catering services. An introduction to an African world that will haunt and surprise; an exquisite story told from a point of view that is rarely heard. This is a tale of two women separated by four hundred years but linked by history. Maxine a modern American woman who is half white and half African comes across a set of diaries written by a slave in the 16th century in her quest to connect with her Nigerian father. 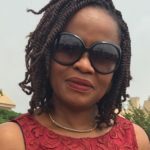 Then there is Onaedo a young woman from that era who found herself in the middle of events that were set in motion in a country far away from her small town in Igboland in West Africa. This is a coming of age novel set in a terrifying age – the age of Portuguese discovery. Today google Doodle honors the legacy of renowned Nigerian writer Chinua Achebe on what would have been his 87th birthday.